Even though Nintendo Switch is still new to the gaming industry, Nintendo is making sure that the console can compete against the likes of Xbox One and PS4 by launching awesome exclusive games and Mario Tennis Aces is a great example of that. 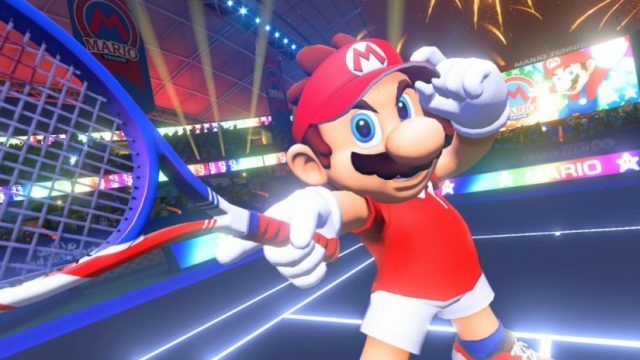 Mario Tennis Aces is a fun game that only Nintendo Switch owners can play. Nonetheless, today we are going to present readers with a guide on how to unlock all the new characters and courts in Mario Tennis Aces. Right from the start, we need to mention that the game features lots of cool characters that players can choose from. The game starts with 16 default characters, but there are many more which can be unlocked. With that said, let’s check out which are the most popular characters that Mario Tennis Aces features. The characters mentioned above are unlocked by default, but there are a couple of ways to unlock some special ones. The first method of unlocking new Mario Tennis Aces characters is to finish the Adventure Mode. Nintendo is trying to encourage solo play and this is why it made some characters unlockable only through Adventure Mode. In addition, Adventure Mode is really fun and players are going to be surprised at how challenging it can be to finish. We should also mention that finishing Adventure Mode will unlock a handful of new courts such as the Marina Stadium and Savage Sea. One of the main reason why Mario Tennis Aces players should finish Adventure Mode is so that they can improve their skills for the monthly online tournaments that Nintendo is releasing. The first tournament will kick off in July and players who compete in it will be able to unlock Blooper, which is a squid character.